Exit the A31 signposted Burley and Services. Follow the road round signposted Burley and within a couple of hundred yards there is a small gravel car park signposted Picket Post. 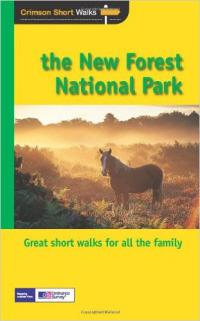 Drive in to the car park and you are confronted with one of the most magnificent panoramic views of the New Forest National Park. Immediately before you is a valley stretching miles. In the far distance the landscape inclines to reveal a forest skyline. You could literally sit there for hours with a pair of binoculars and survey the endless heathland terrain. While I was there I took four photos using my iPhone (shown below). I don't think I captured the true spender like a professional photographer, but I'm sure they will give you some idea of the magnificent views from Picket Post. Enjoy and do visit if you are in the area.